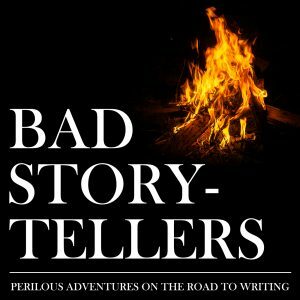 Bad Storytellers is a podcast about writing and things that are written. Join four friends on the road to becoming professional writers as they unleash new stories on-air, criticize each others’ work, discuss pop culture influences, and conceive on-the-spot trailers for imaginary films. In this episode, the gang tries to tackle the concept of exposition. Much is discussed about Deadpool, Naruto, and Die Hard as well as Max’s project, Doug’s outline, and Josh’s third chapter.